Featuring a private hot tub and rose garden within its own courtyard, Briar Rose is a Newport villa offering the largest outdoor space of all. The cozy bedroom is decorated with floral damask of teal and pink with cabbage roses. A truly unique travel experience, staying in the Briar Rose Garden Villa also makes an ideal location for a small gathering of friends in your courtyard. Come experience this enchanting choice in Newport hotel rooms with The Chanler at Cliff Walk. 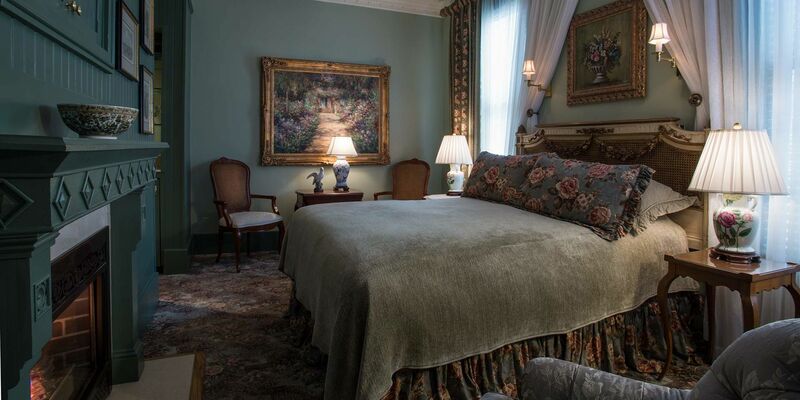 After a day full of visiting the famous Newport Mansions, shopping at one-of-a-kind boutiques or enjoying an afternoon at Easton’s Beach, return to this queen sized guestroom and have a good night’s rest in an antique French bed made of cane with delicately carved roses. For hotel rooms in Newport that come with their own sweet-smelling garden, consider our Garden Villas like Briar Rose. The Briar Rose Room has a few steps to climb to get onto the deck with an entrance to the room. 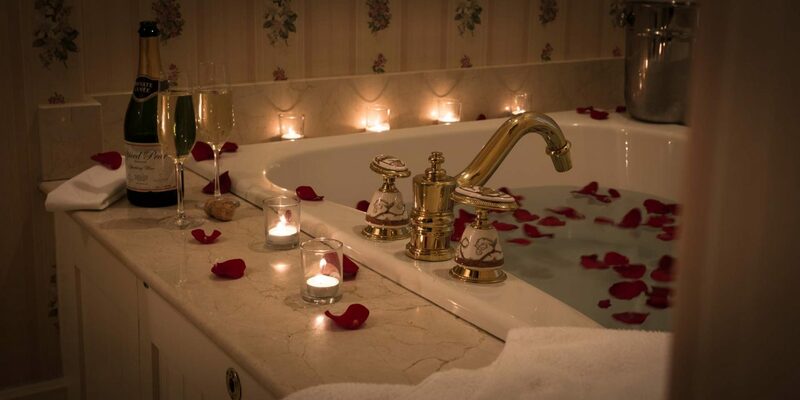 Full of bloom, spirit, and indulgent amenities, Briar Rose is an ideal choice of accommodations for those seeking an intimate getaway.